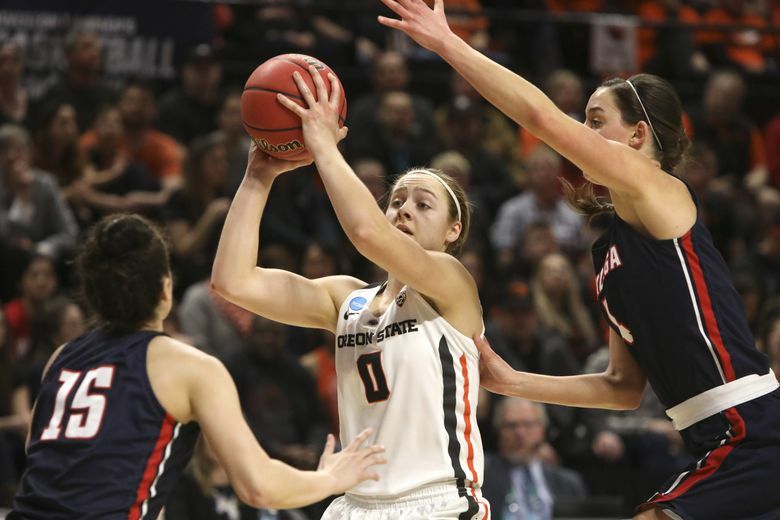 CORVALLIS, Ore. – Mikayla Pivec of Lynnwood collected 19 points, 11 rebounds and six assists, and fourth-seeded Oregon State withstood No. 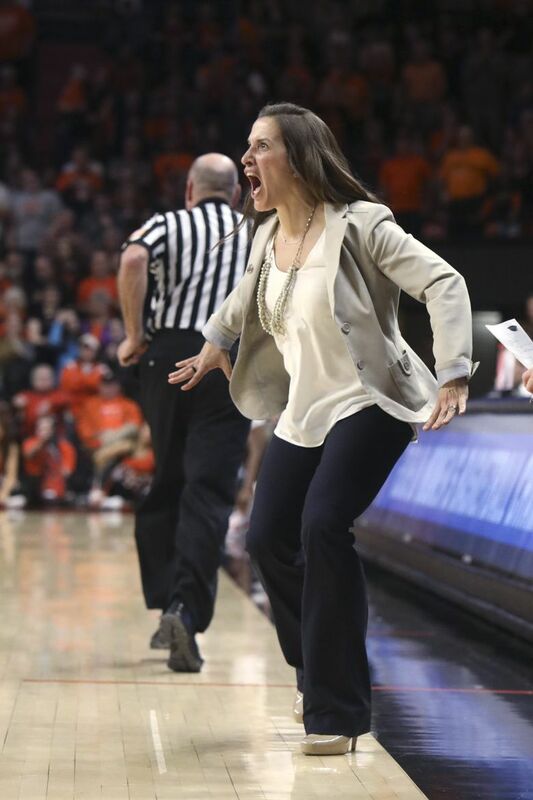 5 Gonzaga for a 76-70 victory on Monday night in the second round of the NCAA women’s basketball tournament. “She’s as good as it gets, and she’s as impactful a player as there is, anywhere,” Oregon State coach Scott Rueck said of Pivec. The Beavers (26-7) will travel to Albany, N.Y., to face top-seeded Louisville, which defeated No. 8 Michigan 71-50 on Sunday. 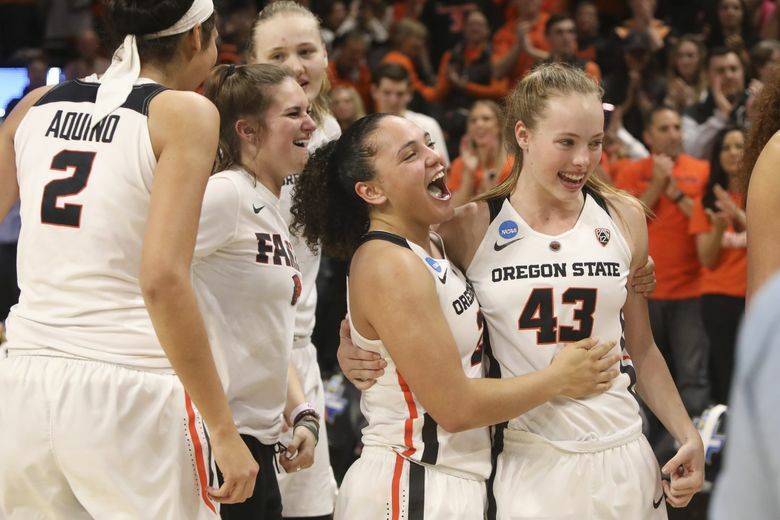 Taya Corosdale of Bothell, Destiny Slocum, Maddie Washington and Aleah Goodman added 12 points apiece for Oregon State, which is headed to the Sweet 16 for the fourth straight season. 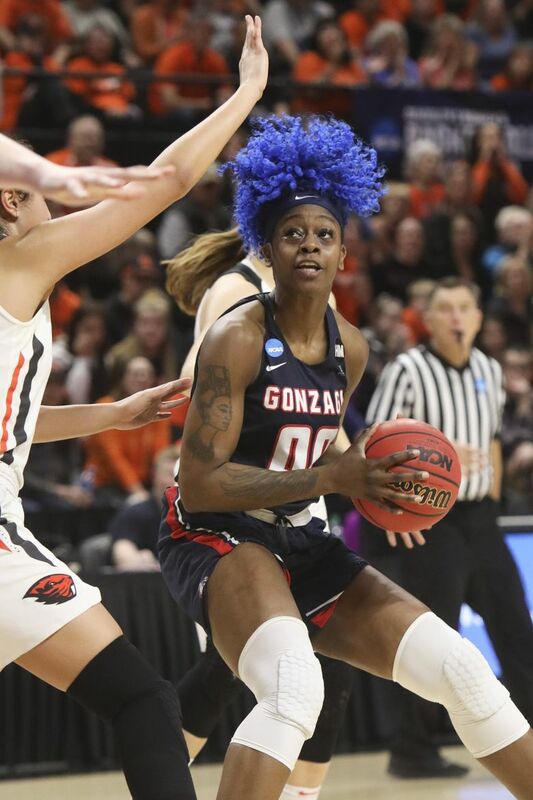 Zykera Rice, a graduate of Clover Park High in Lakewood, finished with 20 points on 8-of-13 shooting for Gonzaga (29-5). Chandler Smith, who is from Brewster, added 13 points and Jessie Loera of Moses Lake scored 11 and had six assists. 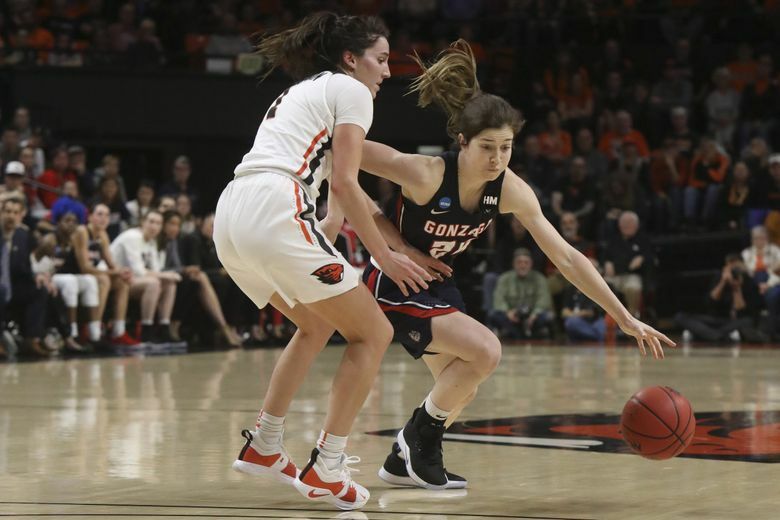 “Against teams like Oregon State, the really good teams, you just have a limited number of mistakes you can make, and tonight we unfortunately made a few too many,” Gonzaga coach Lisa Fortier said. Trailing 50-49 going into the final quarter, Gonzaga took a 55-53 lead on Rice’s layup, but Goodman got one on the other end for the Beavers to tie the score with just over six minutes left. 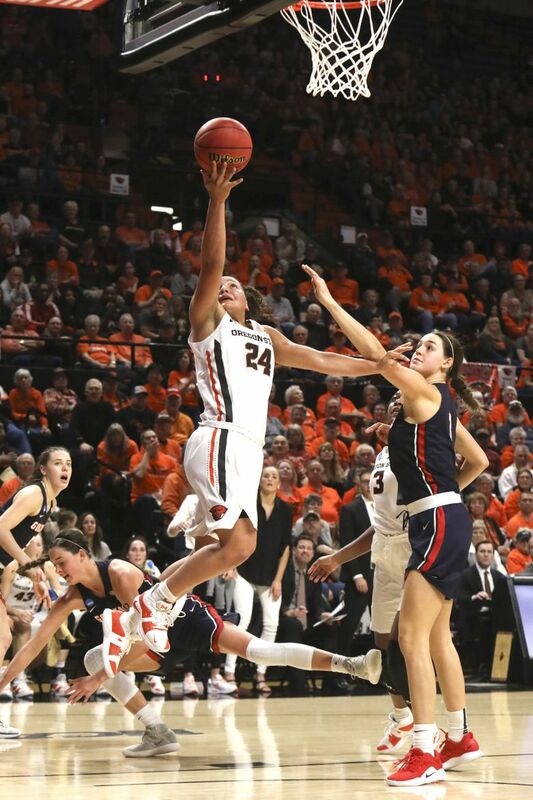 The teams traded baskets until Washington’s layup put Oregon State in front 59-57 with 3:46 to go. 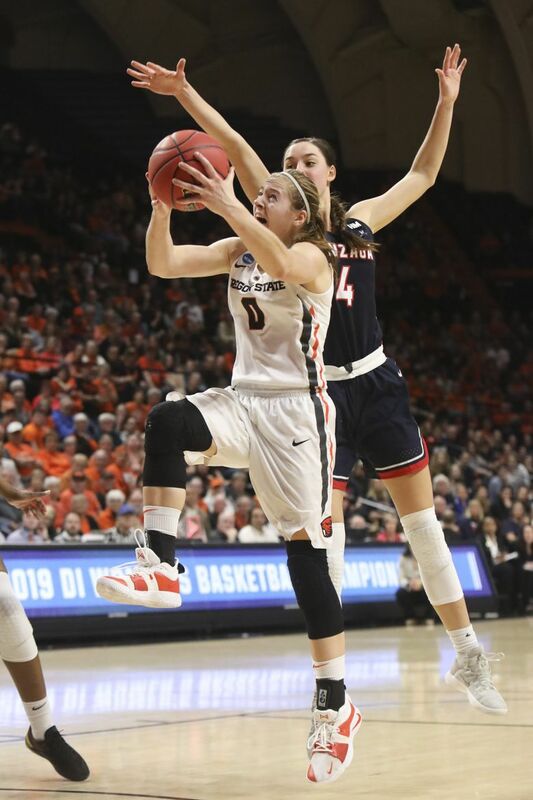 After Rice tied the score again with a pair of free throws, Pivec made a layup and a free throw — she was 8 for 8 from the line — to give the Beavers a 62-59 lead. 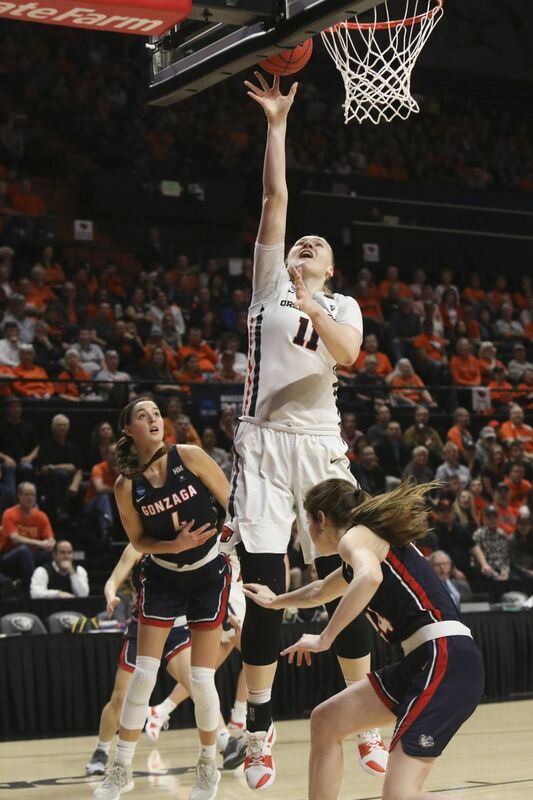 Smith scored for the Zags before Corosdale’s three-pointer made it 65-61 for Oregon State with under two minutes left. The Beavers made 23 of 28 free throws, compared with 11 of 15 for Gonzaga. The Zags, ranked No. 16 in the AP’s final Top 25 of the season, were making their 11th NCAA tournament appearance, and third straight. 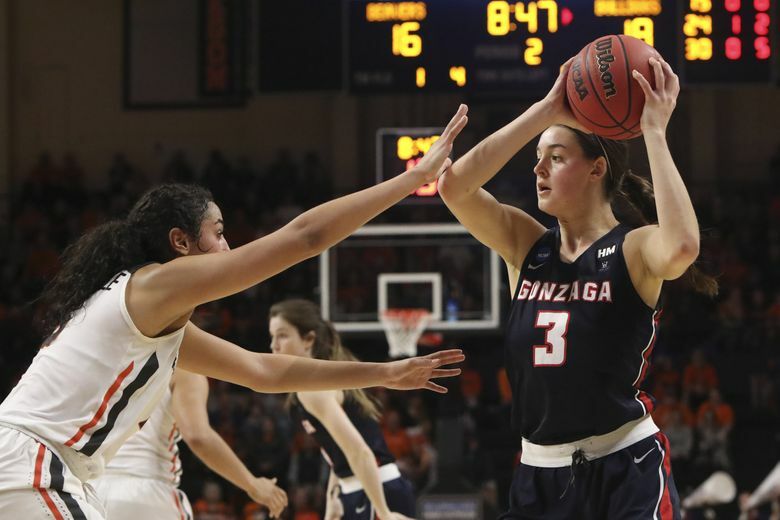 The Zags were shaken in the West Coast Conference tournament, losing senior starter Laura Stockton and reserve guard Jill Townsend to season-ending injuries. Oregon State’s first-round game against No. 13 seed Boise State was a struggle. The Beavers, ranked No. 11 in the final AP poll, eked out an 80-75 overtime victory, led by Pivec with 20 points and 12 rebounds.